Fire departments respond to about 1,752,000 fires every year just taking in count our very own country. 4,380 people are killed on the scene of house fires every year, that doesn’t include the people that die later due to injuries from house fires. So that’s 1 person every 2 hours. 17,520 people are injured, burned, or disfigured in house fires every year, so that’s 2 people every hour. 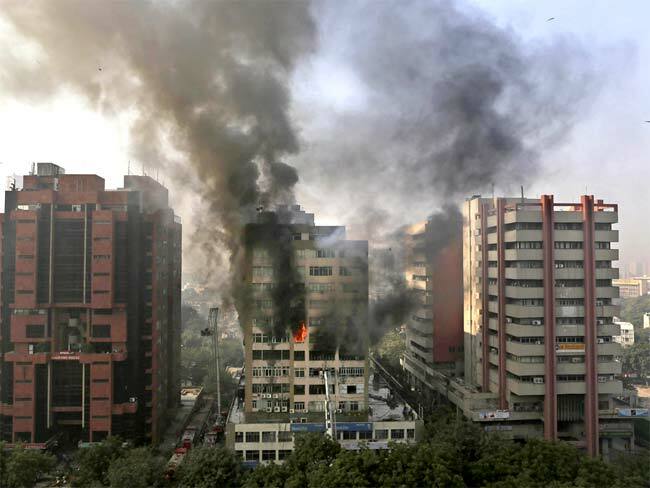 The very start of winters got us news of a major fire in the capital. A security guard was killed in the fire that broke out in Himalaya House, a multi-storeyed building housing several commercial establishments. He died of asphyxia. Police have filed a case of negligence causing death against unknown persons. The fire broke out in the third floor of the building and spread to the fourth, fifth, sixth, seventh and eighth floor soon. The blaze was brought under control a little after noon and the cooling process was on. Thick plumes of smoke were billowing out of the building and rescue workers were working hard to douse the fire which broke out apparently due to an electrical fault. Police and fire brigade officials said they were yet to ascertain the cause of the blaze though they suspected it to be due to a short circuit. “The cause of the fire is yet to be ascertained. There seem to be lapses in the fire safety measures in the building,” Chief Fire Officer AK Sharma said, adding that it appeared that extensive renovation was going on in the building. “The thrust of the fire was mainly on the 4th, 5th and 6th floors of the building. Cables were lying on the 7th and 9th floors of the building. There was plywood lying around. Rooms were under renovation. “There was synthetic material also. It was the reason for the fire spreading quickly. Fire spread from one floor to another quickly through an electrical shaft,” he said. “Five floors were gutted. The loss is estimated to run into crores of rupees,” a fire official said. How many lives are still to be at stake before taking any serious fire safety measure? Have we really to bear so much of losses financially, emotionally, physically and mentally despite of knowing what has to done to avoid the avoidable? 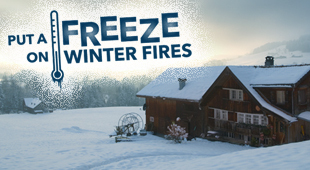 As the winters creep in, please check some of the cautions to be safe. Your electrical appliances and wiring in priority. Frayed wires can cause fires too. Replace all worn, old or damaged appliance cords immediately. Many houses built in the 1960s and early 1970s have aluminum wiring, which oxidizes and corrodes more easily than copper and has been linked by the Consumer Product Safety Commission to electrical fires. It’s okay for a while, but it doesn’t have the life that copper does, particularly where wires terminate. The terminals and splices are known for overheating. So please pay heed to what is inside your building and since change is the need of the hour, go for the best to avoid the worst.